At Wednesday’s White House press conference for President Donald Trump and Prime Minister Benjamin Netanyahu, both leaders clearly had a lot on their minds—in addition to the matters at hand. For Trump it was, of course, the Flynn imbroglio. For Netanyahu there were two things. One involves unfortunate, inane investigations to which he’s being subjected in Israel, which could lead to an indictment. One investigation concerns alleged illicit receipt of gifts—cigars and champagne; the other concerns talks he held with a newspaper publisher—which mentioned possible shady deals that were never, however, acted upon. In addition, Netanyahu is under heavy pressure from the right wing of his coalition—to renounce the two-state solution, to build settlements. At the press conference Netanyahu, in particular, sounded flustered and awkward at times, glancing for succor at his script, speaking without his usual assurance and aplomb. On substance the two leaders’ words, too, raised problems at times. The Palestinian issue appears, unfortunately, to have returned to center stage. It’s unfortunate because it remains an issue no more amenable to a solution that at any time in the past. The problem is that the Palestinians have “had to” do those things—stop hating; acknowledge the legitimacy of a Jewish political entity—since the Palestinian issue first arose almost a century ago. They have “had to,” but are no closer to doing so today than they were in the 1920s; meanwhile the remedy for an entire generation raised in hate—a reality that Netanyahu, in his flustered way, tried to emphasize—is no closer to being found by any of the putative wizards in the West. Indeed, neither the president nor the prime minister mentioned Gaza—where a leader who is radical even by Hamas standards has taken the helm; as usual, it was not explained how a solution could be found when the Palestinians west of the Jordan are themselves divided into two mutually antagonistic entities. Trump and Netanyahu’s words about a “regional deal” on the Palestinian issue, involving Arab states along with Israel, likewise fail to take into account intractable Palestinian reality. Instead, Trump engaged in vague talk of “two states” and “one state,” not explaining what a “one-state solution” to the Israeli-Palestinian issue would be—Israel granting citizenship to at least two million mostly intensely hostile Arabs?—while Netanyahu, desperate to avoid the term “two states,” reiterated his insistence on Israeli security control and Palestinian recognition of Israel, but mainly appeared terrified of riling his right-wing critics at home. On a matter vastly more important than the Palestinian issue, Trump’s words—“My administration has already imposed new sanctions on Iran, and I will do more to prevent Iran from ever developing—I mean ever—a nuclear weapon”—were more encouraging to Israeli ears. In other words, what sounds like a sophisticated plan—taking regional realities into account—to form a bulwark against Iranian expansionism that threatens to engulf the region in war. It can be hoped that, in their hours-long powwow after the press conference, the U.S. president and Israeli prime minister focused much more on the Iranian issue, which is incomparably more urgent and can be resolved with determined action, than on the Palestinian issue, which is relatively minor and cannot—for now—be resolved. If Trump, nonetheless, has delusions of grandeur on the Palestinian issue, expect Netanyahu to play along with his policy. It will be a relatively small price to pay for dealing with the Iranian menace. 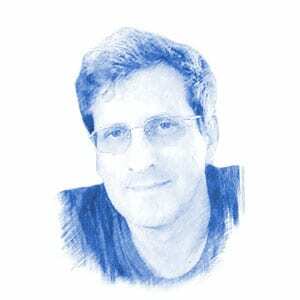 P. David Hornik is a freelance writer and translator living in Beersheva and author of the book Choosing Life in Israel (Freedom Press International, 2013). 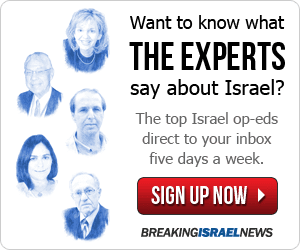 With Friends Like Angela Merkel, Does Israel Need Enemies?